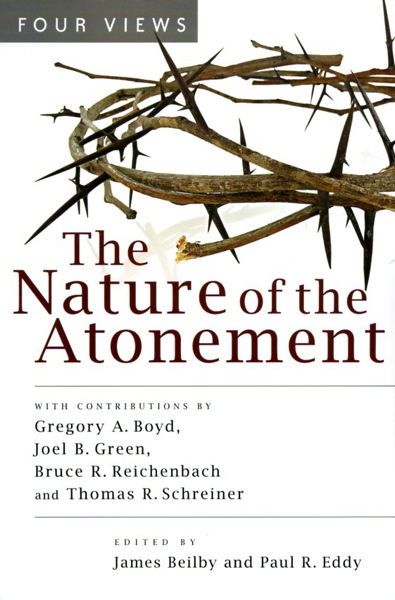 One of the books I have read for my atonement seminar this fall is IVP Academics’ The Nature of the Atonement: Four Views. One of the most fascinating parts of the book for me came with Greg Boyd’s response to Tom Schreiner’s presentation of the penal substitutionary view. In general, I found Boyd’s contribution to this book more helpful than I expected. I rank his presentation second after Schreiner’s, and I thought his critique of Joel Green’s kaleidoscopic view to be very insightful. In his response to Schreiner, Boyd appeals to C.S. Lewis’s presentation of Aslan’s sacrifice on behalf of Edmund in The Lion, the Witch, and the Wardrobe (pp. 100-104). I’m not convinced, however, that Lewis’ presentation of atonement in the Narnia books can be linked with a Christus Victor as neatly as Boyd suggests. While certainly some of its themes are present (as they are in almost any understanding of atonement), I think atonement in Narnia is best represented by some combination of the ransom and satisfaction theories, with perhaps the governmental theory also impinging. The issue matters because Lewis is often appealed to as a kind of “mere Christianity” litmus test: if Lewis held to the Christus Victor view and advocated in a way that has helped millions of children understand the gospel, then it gives that view a degree of street-level credibility. Tell you? said the Witch, her voice growing suddenly shriller. Tell you what is written on that very Table of Stone which stands beside us? Tell you what is written in letters deep as a spear is long on the firestones on the Secret Hill? Tell you what is engraved on the scepter of the Emperor-beyond-the-Sea? You at least know the Magic which the Emperor put into Narnia at the very beginning. You know that every traitor belongs to me as my lawful prey and that for every treachery I have a right to kill …. Unless I have blood, as the Law says, all Narnia will be overturned and perish in fire and water. It is therefore untrue to Lewis to portray Aslan’s death as oriented more towards the Witch than the Emperor. While circumstantially, Aslan’s death comes in response to the Witch’s demands, it is more fundamentally a satisfaction of the Emperor’s Deep Magic, so that Narnia is not overturned in fire and water. Indeed, the very reason why the Witch’s claims upon Edmund are undermined by Aslan’s death is that his substitutionary fulfillment of the Deep Magic removes the basis of her accusation. In addition, under a Christus Victor model, in which the primary aim of atonement is the destruction of evil forces, Edmund’s role in the whole transaction becomes secondary. In the book, however, the substitutionary character of Aslan’s death is front and center. It is a story, not first and foremost of victory and conquest, but of redemption and love. Gav, can you do a review of the book as a whole? I’m very curious. You mean the four views book? I’m not sure I have the time right now, but I will be doing reviews of lots of books on the atonement this fall, so maybe I will post some of those (or parts of them). Great! I will learn a lot.